Honey water is a drink that you may have heard of and it’s not surprising. This simple, but highly effective remedy is something that has been used for many, many years. The best news is that honey water is easy to make and mix. If you’re keen to try it, read on for how to make honey water and an overview of all its benefits. Making honey water is very easy. The first step is to boil water as if you are making tea. Remove the water from the heat, allow to cool to ‘warm’ and add one to two tablespoons of raw honey. If you are measuring this in grams, it should be between 15 and 30 grams. Adjust to taste. For your first time, start with a smaller amount of honey (1 tablespoon). It’s easy to add more but impossible to remove. When adjusting to taste, remember you don’t want the water too sweet. It should not be like drinking sugar water but if you want a bit more sweetness, add more. Some people using it for weight loss tend to drink it twice a day, once in the morning and once in the evening before bed. The key to using honey water is to drink it hot or at the very least warm. You need to drink it like a tea. It’s also a good idea to add things to your honey water for extra benefits. Try adding apple cider vinegar to help with cleansing, orange to give a boost of Vitamin C for your immune system, or even lemon. Ginger is also an additive than can help boost your immune system. Raw honey (the best to use for honey water) is antibacterial, antifungal, anti-inflammatory, and loaded with antioxidants. These properties mean it is a powerhouse when it comes to improving internal health. Here’s a few good reasons why you should enjoy honey water every day. Honey is a natural alternative to sugar and can help stave off cravings while reducing the amount of calories consumed. Unlike sugar, it also provides nutrients for your body. It can help with digestive issues including constipation. The water flushes the system and helps keep you regular so you aren’t holding onto extra weight or bloat. All the properties of honey make it a natural immunity booster. It will help to fight bacteria, flush toxins and reduce free radicals. A daily dose will help keep your system fighting fit. If you suffer from allergies, honey water will start to have lasting effects within a few days to a few weeks. It’s important to also take extra steps to reduce allergy causing agents such as regular cleaning and vacuuming of your home. Honey water will hydrate while supplying your body with simple sugars and carbohydrates. This means it offers a natural energy boost that is much better than a caffeine fix or sugar hit. Try it next time you hit that mid afternoon slump. Honey has long been known as a soothing agent for sore throats. Combine it with warm water and your throat will be singing again in no time. 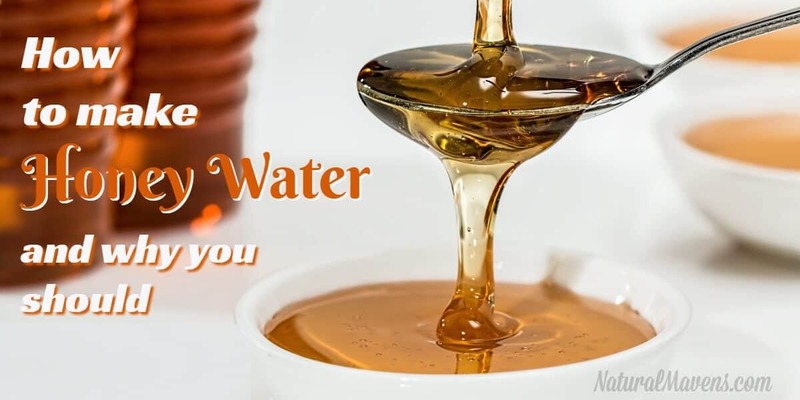 If you are looking to cleanse your body and get rid of toxins, honey water is ideal. Add some lemon as well to completely cleanse your system. By starting to use honey water daily you will soon notice a difference in your body – for the better. Make sure to note those differences and how much honey water you are taking. You can adjust the amount up and down as needed for the best health. For example, take more when you are looking to cleanse, lose weight or heal a sore throat. Adding honey water to your daily routine is a simple idea that can reap great benefits. And the best time to start is today! I am going to try this honey water and see if it works for losing some of this weight I have been fighting with for years. I’ve been told not to put honey, lemon- or orange-juice into any over 46 or 48 degrees C, many good properties as vit. C would get lost. You are absolutely correct Marlyse. I have amended the article to say that the honey should be added to ‘warm’ water – it should be cool enough to sip comfortably. Thank you.